Six works in six rooms. A totally simple and modest curatorial idea, yet also a vainglorious one when the six works are by Dan Flavin, On Kawara, Sol LeWitt, John McCracken, Fred Sandback, and Richard Serra and the six rooms are sufficiently immense (David Zwirner’s cavalcade of Nineteenth Street galleries, here put to perfectly minimal use). And though the language of the show’s press materials stressed the experiential possibilities afforded by such sequestering—“the individual works in the exhibition uniquely activate the spaces in which they are installed . 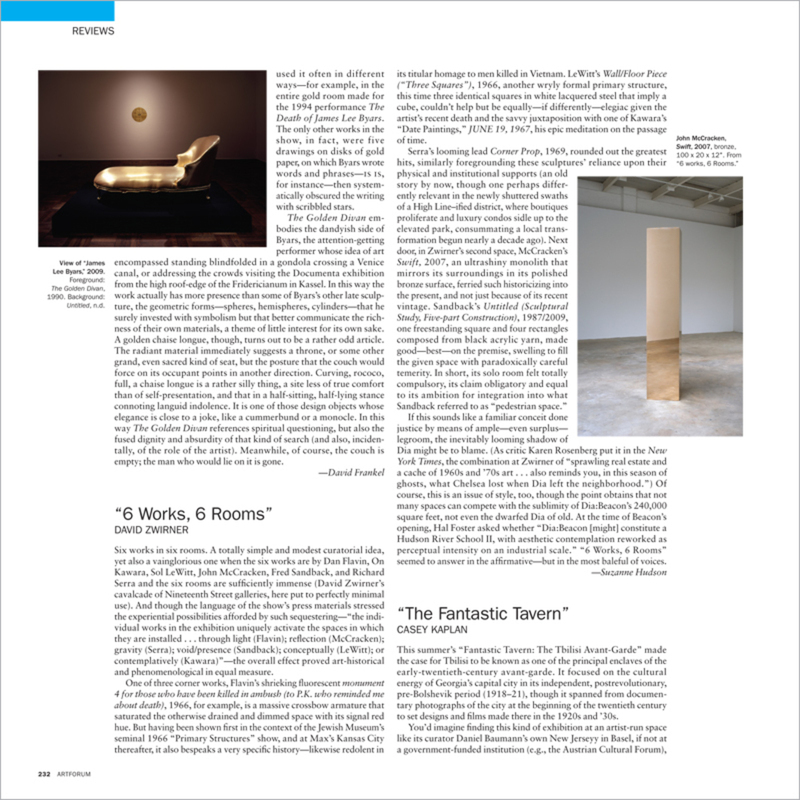 . . through light (Flavin); reflection (McCracken); gravity (Serra); void/presence (Sandback); conceptually (LeWitt); or contemplatively (Kawara)”—the overall effect proved art-historical and phenomenological in equal measure.